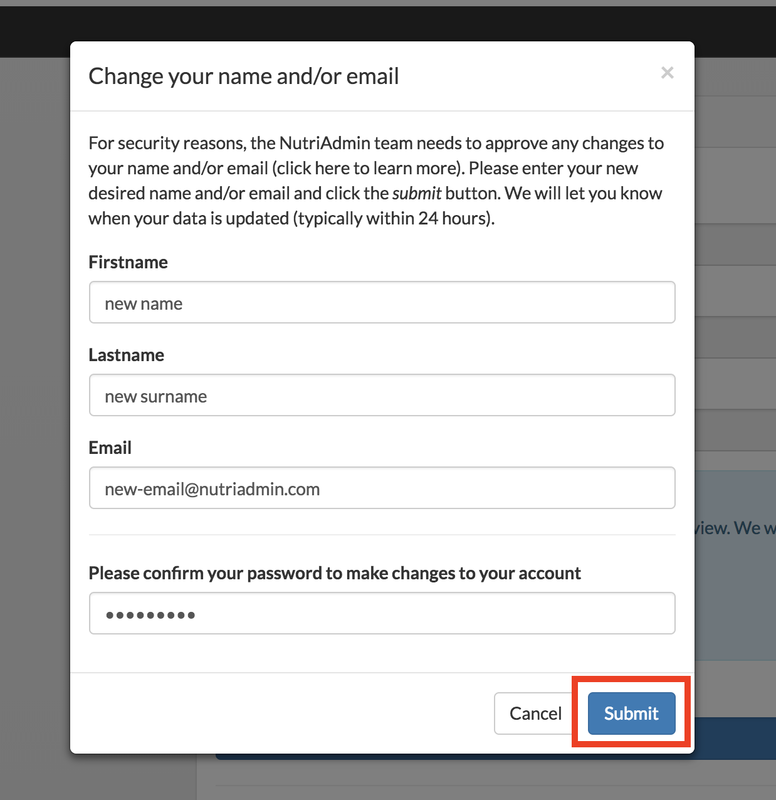 This tutorial explains how to change your name and email in NutriAdmin. If you want to change the name your clients see when you send them emails from the system (e.g. questionnaires), you can change your professional name in the Branding section of the settings. You can click here for the relevant tutorial. Step 1: Click on your name on the top-right corner of the screen. Step 2: Select My Profile. Step 3: Click on Change name and/or email. 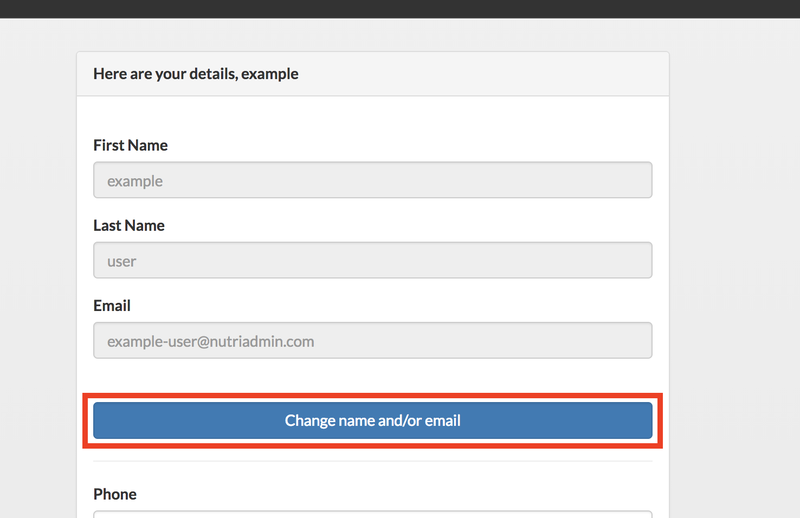 Step 4: enter your new desired name and email. If you only want to change one field (e.g. your email) you can leave the other field (e.g. your name) as it is. For security reasons, you will have to confirm your password in order to proceed. Click on Submit when you are ready. Step 5: That's it. Your page will be refreshed and you will see confirmation in the screen that your request is being processed. You should also receive a confirmation email. 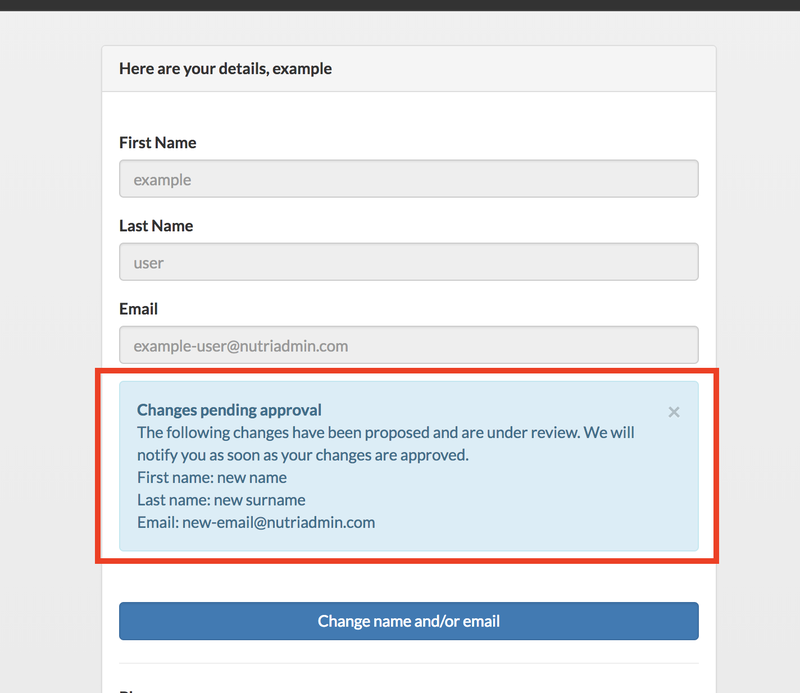 What happens next: The NutriAdmin team will review your request for changing name/email and typically approve it within 24 hours. If we need any extra information or there are any issues with the changes suggested we will contact you directly. Once your new name/email are approved you will receive a confirmation email. 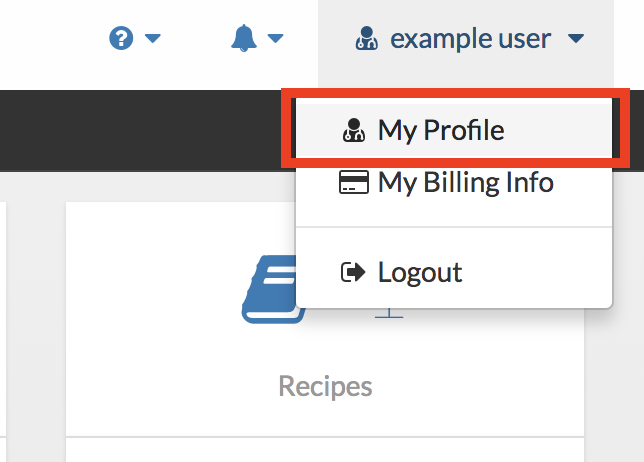 You will be able to use your new email to login, billing, and for communication within NutriAdmin.